When the sun gets hot and the air gets humid, a run down a freshly laid slope blanketed by the crisp mountain air is just what the doctor ordered. Whether you’re a straight adrenaline junky, a youth group looking for a retreat, or a family vacation seeker, these few resort destinations are sure to offer something to warm your appetite for excitement. Jackson Hole is known for having the best back country in the United States. It’s high peaks offer solid snowfall all year round. Beyond skiing and snowboarding, the resort offers the opportunity for mountain biking, hiking, paragliding, fly fishing, and (not to mention) the local eateries in Jackson Hole are exceptional. The Telluride Ski Resort in Colorado offers two thousand skiable acres, one hundred and twenty five hiking trails, and a four thousand four hundred and twenty five foot vertical drop. Thrill seekers, eat your hearts out. One good tip to remember when visiting this beautiful destination is that Telluride is the original town, but the Mountain Village was built for tourism. The Mountain Village has an array of cozy chalets to thaw out comfortable at the end of the day. This is the number one family resort in North America. The place is simply stunning. If you’re family is looking for a new venture, there are plenty of opportunities for snowboarding or skiing lessons in Whistler. This resort also offers a peak to peak that lays claim to being the world’s longest and highest lift. This extravagant lift gives visitors the ability to ski Whistler Mountain and Blackcomb in the same day! 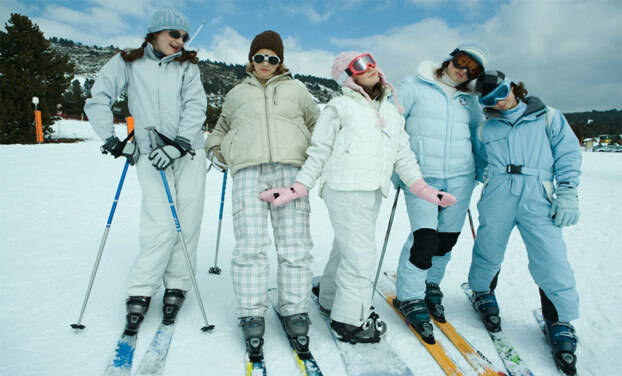 Vail remains one of the most popular winter vacation spots largely due to its two four star ski resorts. Vail Ski Resort and Beaver Creek Resort aren’t exactly known for their low low prices, so prepare to spend a little dough on this vacation. The small size and remote location of Vail offer privacy along with the unstoppable beauty of being nestled between two mountain ranges: The Gore Mountain Range and The Sawatch Mountain Range.